Below is a map of the ecological reserves of BC. Each reserve is numbered from 1 to 154. Refer to the table below the map for the names of each reserve. If you like, you can click on the map,and then again to get a larger image on which you can zoom and pan. The total area of protected lands (provincial and Federal) in BC is 13,521,180 ha. Total Area of ERs is 112,543 ha. which represents only 0.8% of the protected area system. * These ecological reserves are closed to the public due to the sensitive nature of these areas. 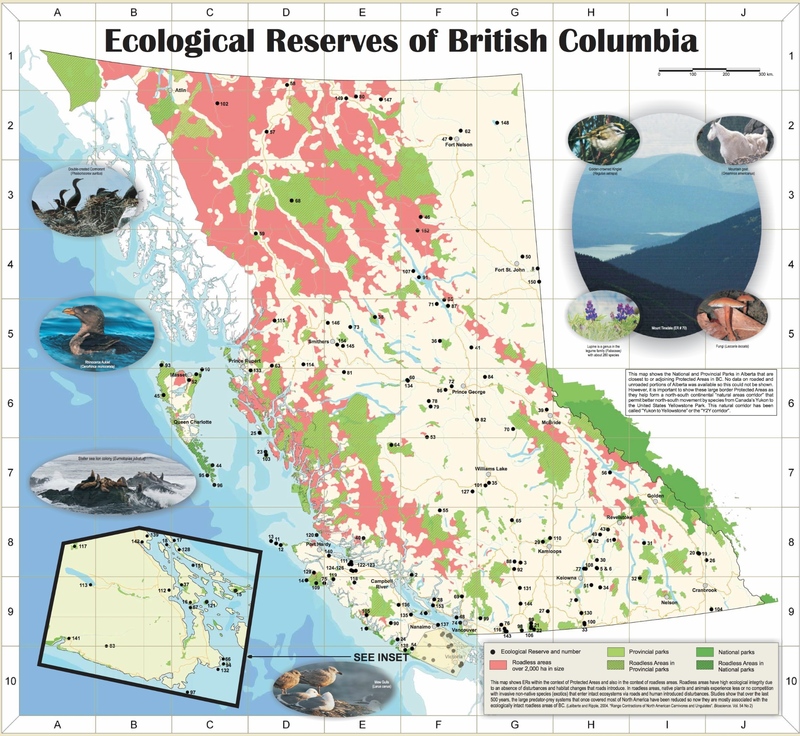 The closure at Robson Bight (Michael Bigg) Ecological Reserve covers the land component of the ecological reserve only. Total area of ERs is 112,543 ha. which represents only 0.8% of the protected areas system.